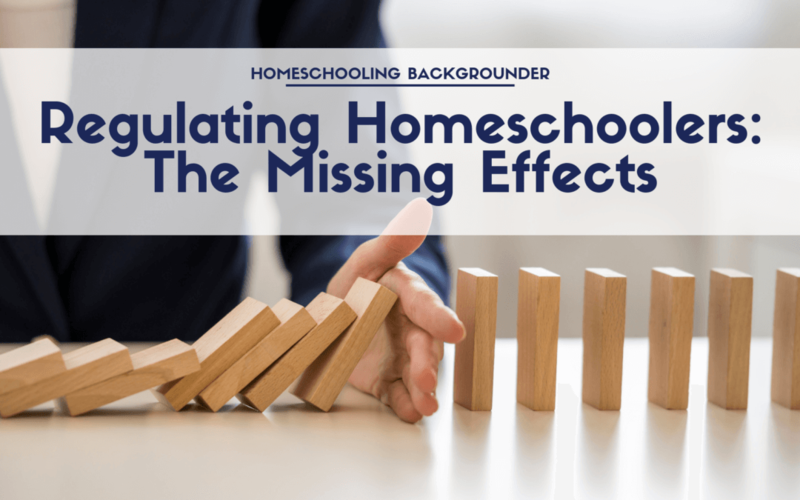 Today there are calls from various quarters to either increase regulations on homeschoolers or to keep existing levels of regulation in place. The usual reason given is to protect low-achieving homeschooled students. But regulation advocates never provide any research evidence that regulation in reality improves homeschool academic performance. There is a good reason for that omission: There is no such evidence in existence. 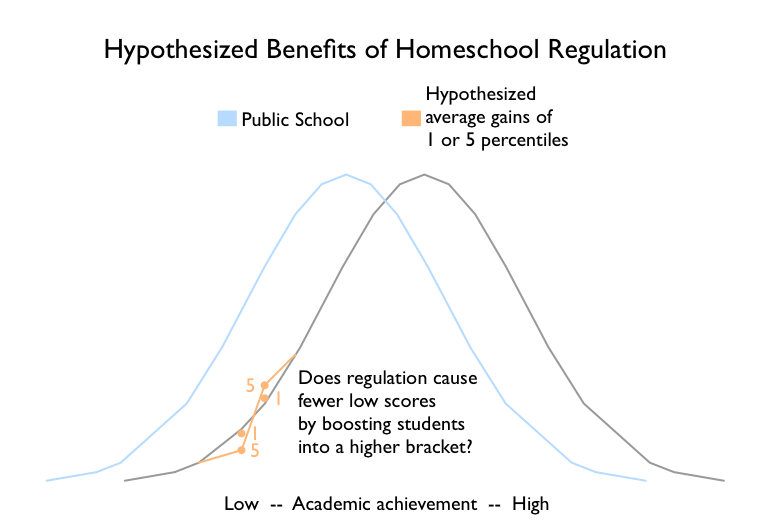 In fact, national research using homeschool test scores from 2008 found no correlation (see “Degree of State Regulation”) between homeschool achievement and the amount of state regulation. An earlier national study using homeschool test scores from 1996 also found no correlation. Let us look at the effects of existing regulation on students at the low end. We will use Oregon as an example because Oregon has collected results for their state-mandated, neutrally-administered homeschool standardized tests. Lacking any apparent theory on why Oregon students or the results of Oregon regulations would be somehow unique, we should be able to generalize these results to other jurisdictions. 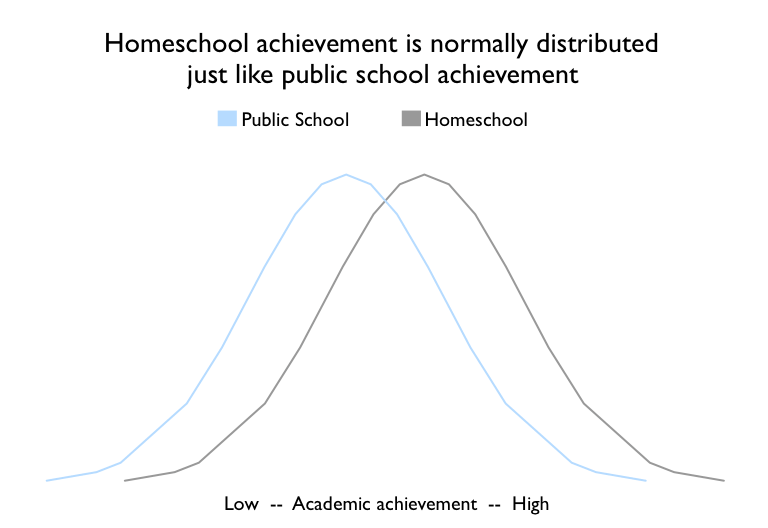 Homeschool test score distributions are normal bell-shaped curves, just like public school test scores. (Technically, the homeschool data points are closely approximated by a normal curve. We shall use phrases like “a normal curve” as shorthand for “closely approximated by a normal curve.”) The normal curve represents the expected achievement levels for these students. If regulation boosts low-scoring students above their expected academic achievement levels, we should be able to see that effect in their test scores. In Oregon, the focus is on students who score below the 15th percentile. What would giving an achievement boost to these students look like? We would expect to see students move from their expected level of achievement on the normal curve to a higher level of achievement. Specifically, we would expect some students to move out of the 1-14 percentile range into the 15-20 percentile range. This would decrease the number of students in the 1-14 range to below what was expected and increase the number in the 15-20 range to above what was expected. We will look at two scenarios. The first is one where students who are the focus of the regulations, those in the 1-14 percentile range, on average receive a boost of 5 percentiles in their academic achievement as measured by their test scores. In the second scenario, these students only receive a 1 percentile boost. Then we will compare the hypothetical results of these two scenarios to what actually happened. 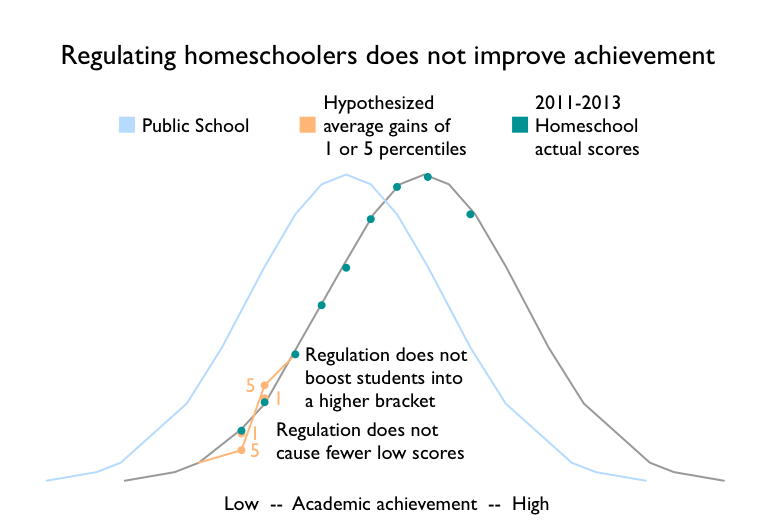 The actual homeschool test scores do not support the hypothesis that regulation improves academic performance for homeschooled students at the low end of the achievement spectrum. Any improvement would be considerably less than a 1 percentile average boost. The differences between actual scores and expected scores are, in fact, within the range of chance variation.